I’m sure most people know how to cook different types of meat on the grill. 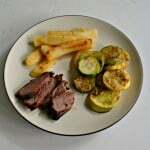 I normally plan my meals around what meat I can grill and then often make my side dishes and vegetables on the stove top. I do baked potatoes and corn on the cob on the grill but not really too many other side dishes. 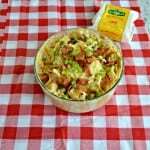 I’d like to cook everything on the grill since clean up is so easy so I went in search of recipes for side dishes on the grill. I wasn’t really looking for anything in particular, just anything that I could grill that sounded good. The first picture I looked at that sounded great were campfire potatoes. Turns out that most recipes for these potatoes are done on the grill and not an actual campfire. These potatoes can be made in a foil container that you purchase or you can make one out of tin foil. I bought a small one at the market for a dollar. 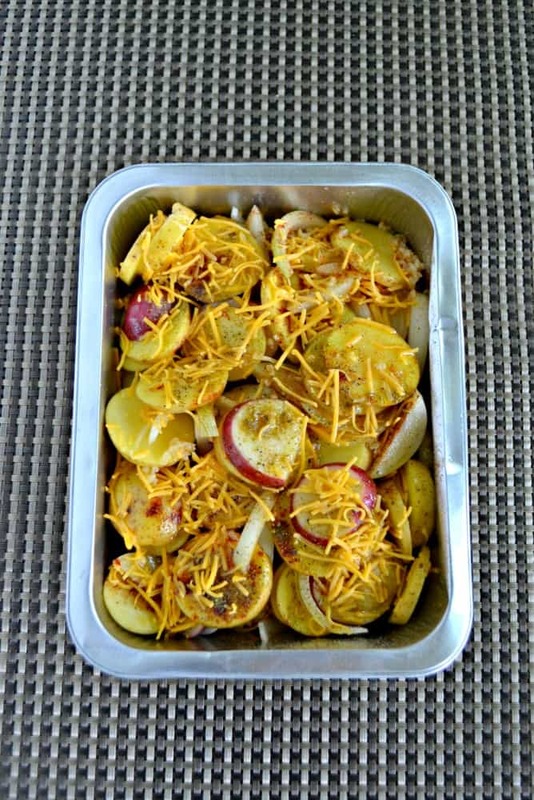 To make the potatoes you simple cut a few pounds of potatoes into thin slices, add in some onion slices, cheddar cheese, and spices. 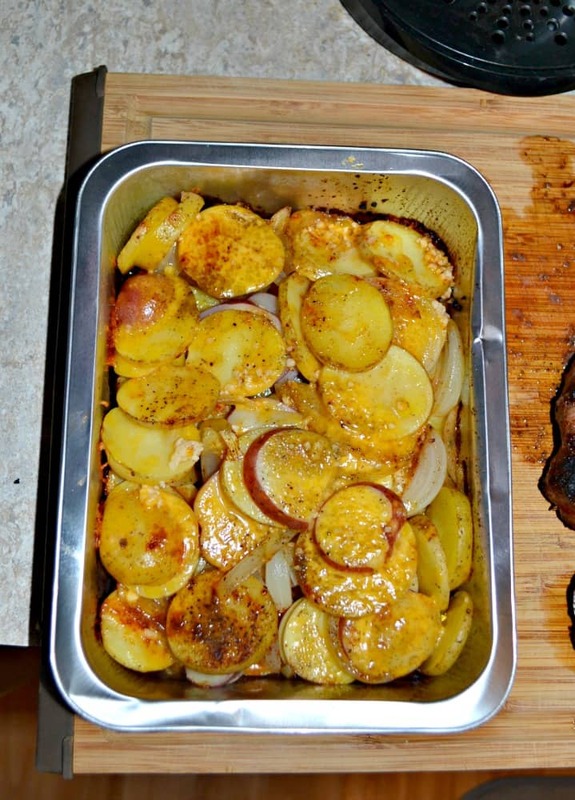 I wasn’t sure if the potatoes would cook well in the foil tin covered with foil but I gave it a shot. I was also worried the cheese would burn but I really didn’t have any problems. The potatoes cooked and even got a little brown. The cheese melted on top and the butter kept the potatoes from sticking to the pan. I don’t think I’d use as much butter next time as the potatoes were slightly oily but otherwise they were really good. I thought these potatoes were really flavorful and I like how easy they are to make. You can basically set them on the grill, stir them once or twice, and that’s it. They cook in the container and taste great. 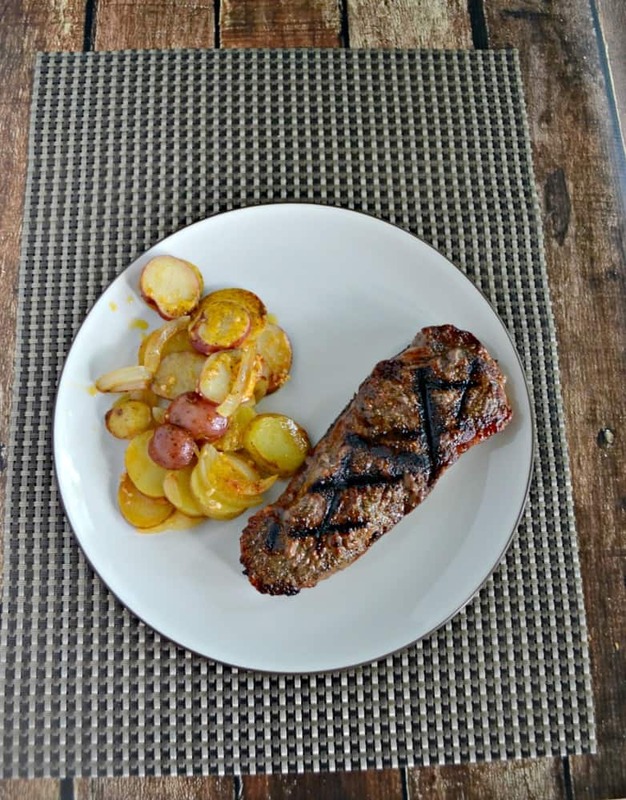 You can add any seasonings to them that you enjoy on potatoes to make them even better. They are great on the side of grilled chicken or steaks. Make delicious, cheesy potatoes with onions and spices on the grill with just a few simple steps! 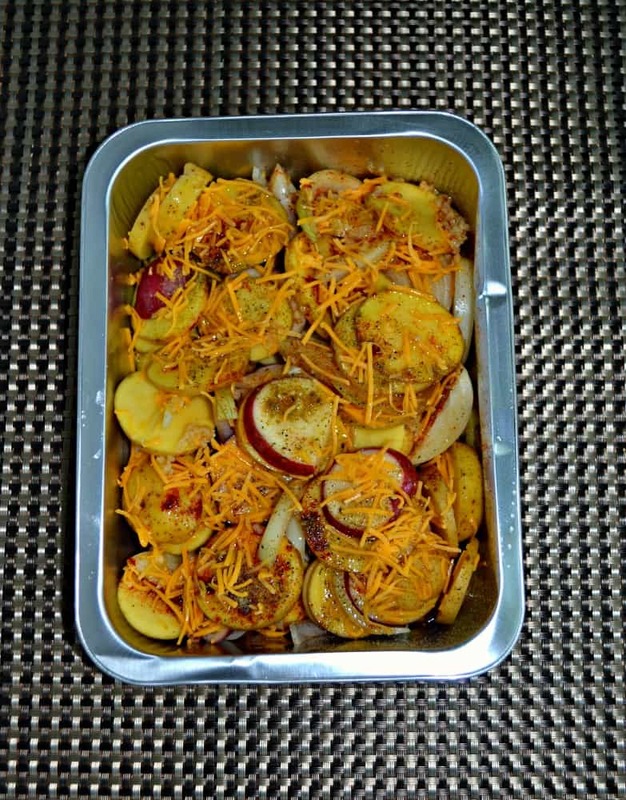 Place the potatoes and onions in a foil container. Cut the butter into small pieces and scatter over the top. Drizzle the potatoes with the water and Worcestershire sauce then sprinkle with the salt, pepper, garlic, and chili powder. Cover with a piece of foil and put on the grill. Grill for 30-40 minutes, stirring twice and recovering, or until the potatoes are cooked through and the cheese is melted and bubbly.